Very few people are aware that this vegetable is highly medicinal and can be used to cure diseases as well as help to keep our body in good health condition. The important thing this leaf does is to clean the blood, hence prevent sickness. This made by squeezing the fresh leaves to get the juice. Drink about a glass of the juice 3 times a day. •Bitter leaf also cleans the lymphatic system as well. 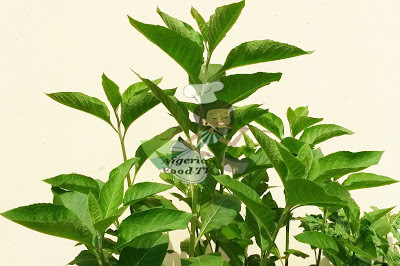 •For smokers or those that are been exposed to secondary smoke, bitter leaf is useful by protecting the body against pollutants that come from cigarette smoke and some dangerous gas. •It also yield the healing power of Sexually Transmitted Diseases(STD). The drinking of the bitter leaf juice daily and also squeeze the leaves and paste it on the patches and warts that appear on the skin will vanish in course of days. •It is useful for treating of ringworm, eczema and other diseases, just squeeze and paste it regularly, drink the fresh bitter leaf juice, this will clear them off in no time. •It is useful in curing loss of memory. It could be a symptom of diabetes or a sickness on its own. Whatever the nature, bitter leaf is very good for treating this ailment. •If you often feel weak and tired or you lack vitality and vigour, squeeze the bitter leaf in water, take a glass 3 times daily. It is good in treating stroke, strengthens the muscle and cleanses the system. •In treating pneumonia, squeeze the fresh leafs of the plant in water. Take a glass full thrice daily. Warm the solution on fire each time before you drink. •Insomnia is an inability to sleep well, take 2 glasses of bitter leaf juice every night. You may add a little honey if you wish. •It prevent Arthritis or rheumatism in patients. It soothes swollen joints and eradicates the pain. •Chew the tender stem and swallowing the juices is a well known remedy for stomach aches. Alternatively, pound the fresh leaves in a mortar to extract the juice, add a pinch of salt to three tablespoons of the undiluted juice and drink. This version is reported to bring immediate relief.